The swing is perhaps something that you can’t miss when you want to have a dream patio. 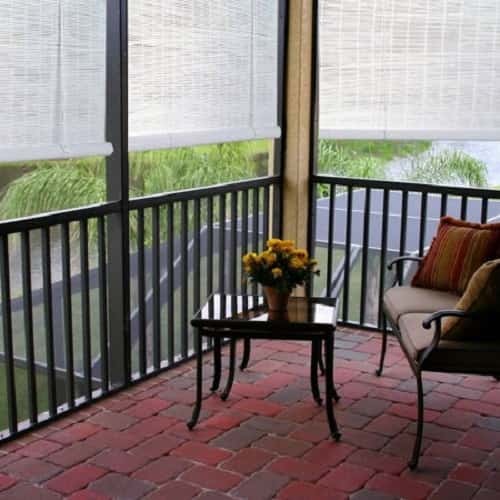 It will add much comfort and obviously enhance the patio’s style. 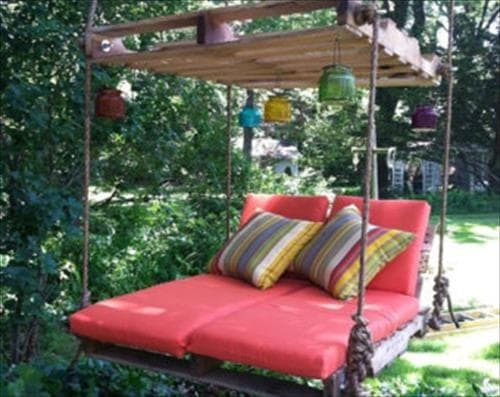 So considering to install a swing to decorate your outdoor space is always a great idea. Though it’s only a compliment to those chairs and sofas, with the existence of swing in your patio, the space will be much more exhilarating. With hundreds of outdoor swings manufactured by some popular brands, you will not be tricky to purchase one. Some of them are sold affordably, and others may cost you a lot. 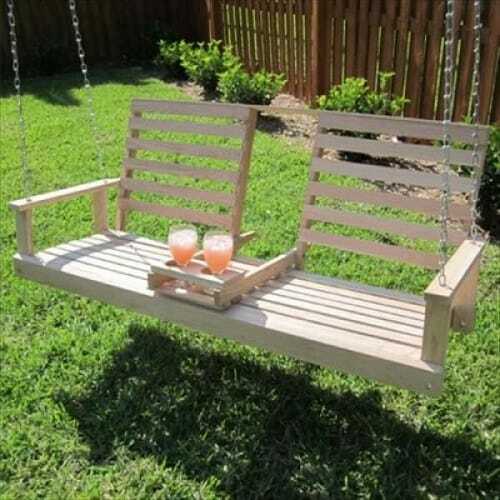 But here, you will not have to spend lots of bucks, or perhaps none, to build a fabulous swing to place on your patio. 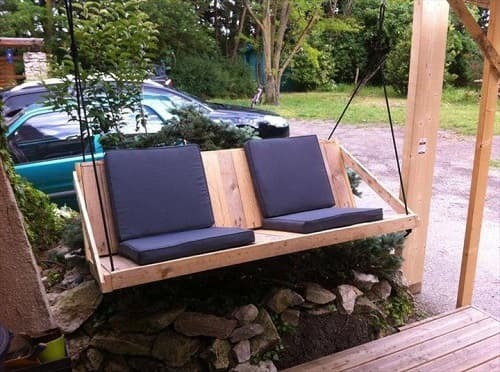 By some used wood pallets and ropes, you can have one swing to comfort your outdoor time. 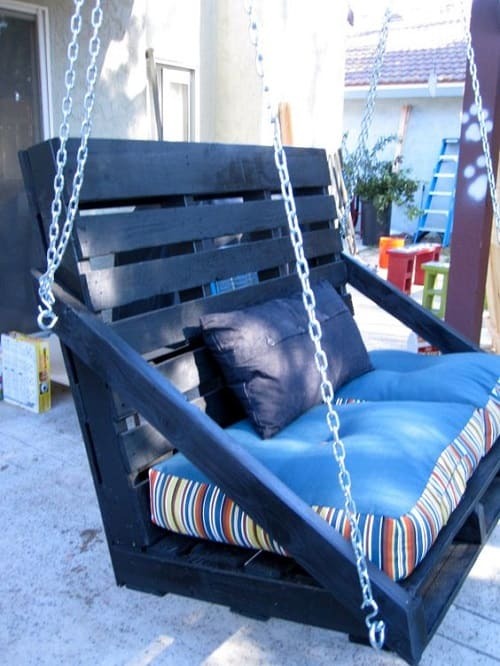 Below, you will see some mesmerizing wooden pallet swing ideas that totally worth a try for your DIY outdoor furniture project. Check them out! The first thing to make the swing feel more comfortable to enjoy is by placing a cushion on its top. This simple patio swing looks so adorable with the combination of walnut finish and decorative cushions in BW color. This is such the simple yet adorable DIY patio swing. The two black cushions don’t only provide comfort but also beautify the look of the swing. 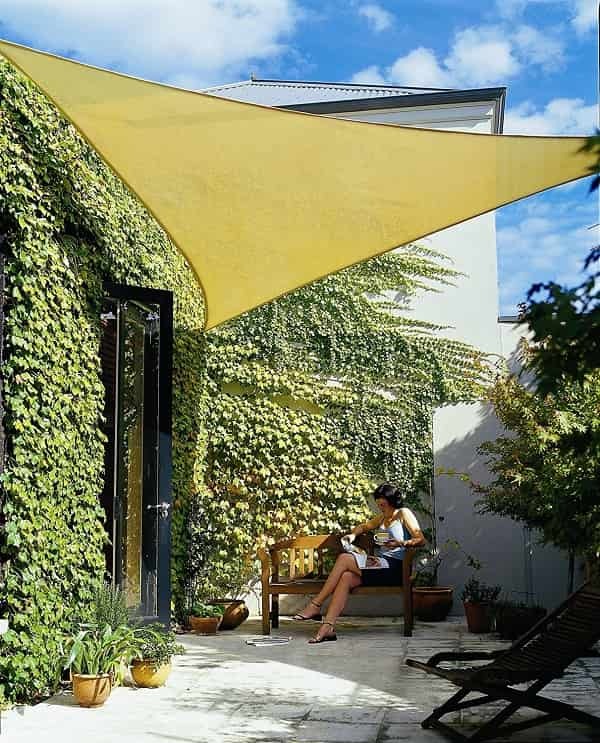 The gorgeous patio swing with a shade that will make you more comfortable to enjoy some books in your outdoor space. Adding some ivory on the top would be a great idea to make it more mesmerizing. 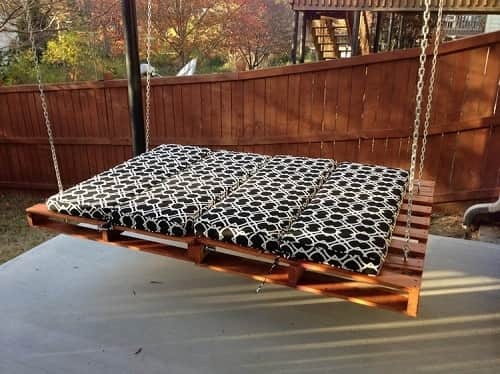 The super cozy swing bed made of the wood pallet for your ultimate relaxation. 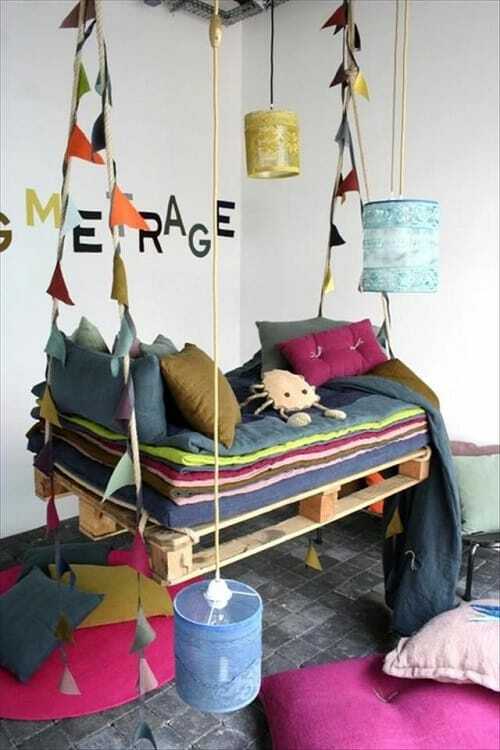 The combination of the dark pallet with a colorful thick mattress of this swing is so adorable. 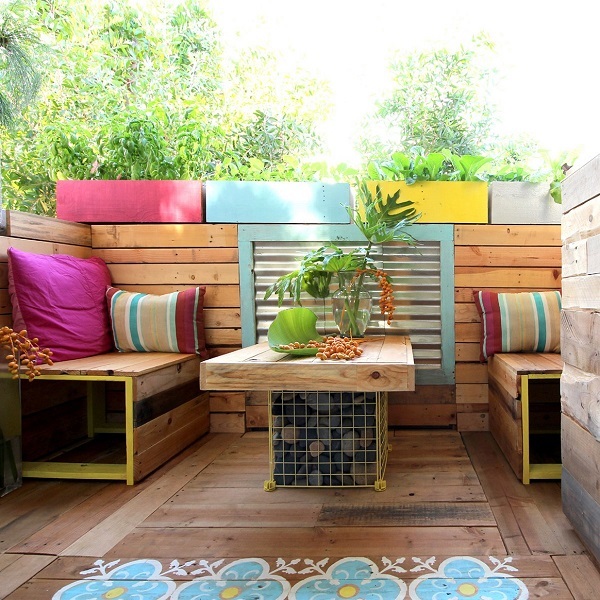 This one is for you who love something natural to decor your patio. 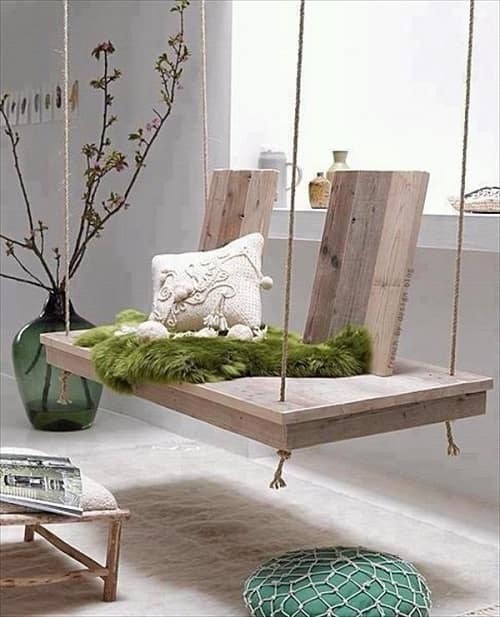 The rustic wood pallet swing design is combined with the green fur to create a beautiful earthy appearance. The dark brown pallet swing which provides the deep spacious seating space for your great comfort. 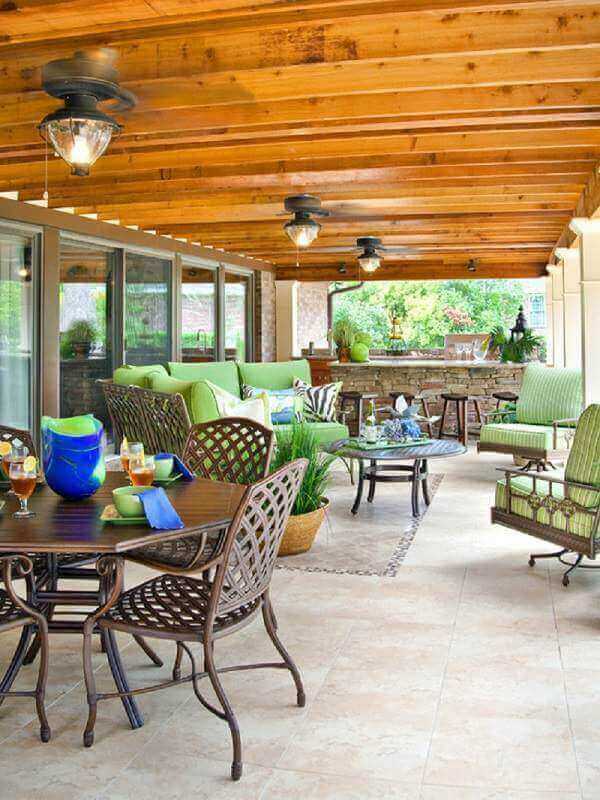 It will be nice to make your patio look and feel more inviting. Another pallet swing in natural look which doesn’t need to be extraordinary to make your patio more exhilarating. 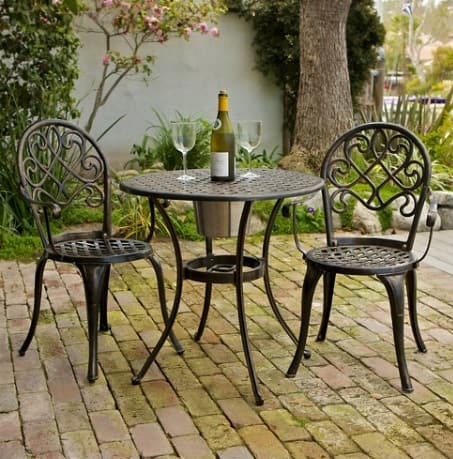 Its classic design is enough to make it one of the focal points in your patio. 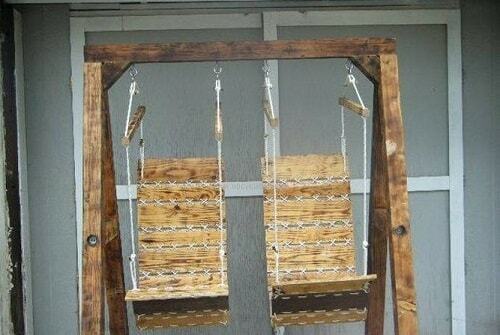 If you have some ugly wood pallets, you can turn them into this rustic swing. This one will not cost you a lot of money and jobs. The design will match perfectly with your antique patio style. This classic style patio swing will create such an old days atmosphere to your backyard. It has dual seating space with small table and cup holders in the middle. 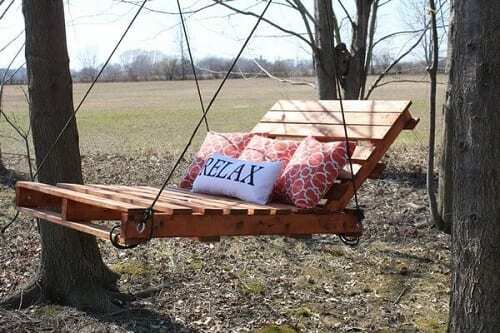 It is an easy wood pallet swing ideas that you can try. 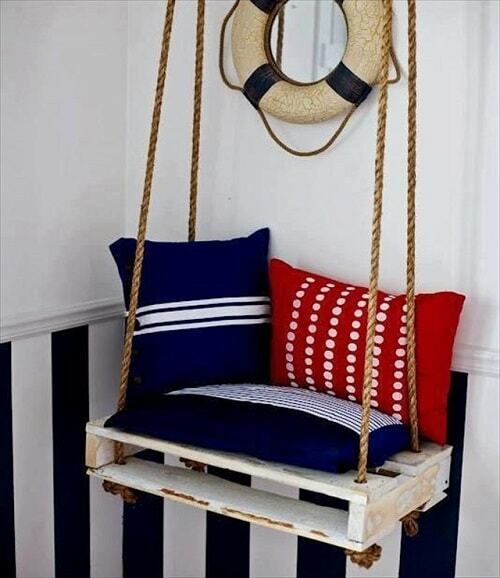 Another wood pallet swing ideas for you who love something cheerful to decorate your outdoor space. 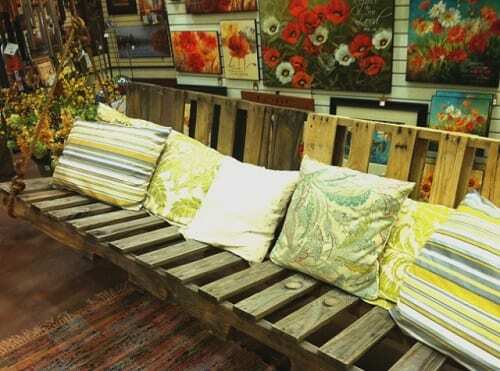 You will only need one pallet and some thin mattress to create that colorful multi-level cozy cushion. 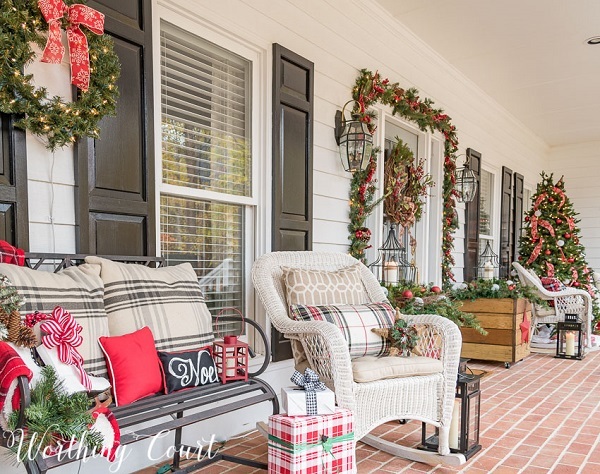 The decoration around the swing makes it look more attractive. The beautiful white pallet swing with velvety white cushions which is perfect to enhance the beauty of your patio. 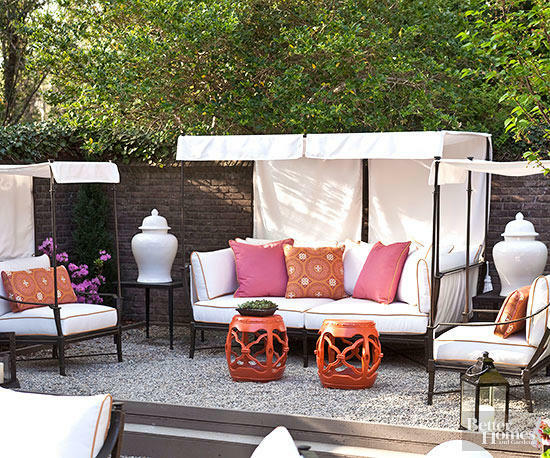 The purple throw pillows add a gorgeous color touch to this swing. 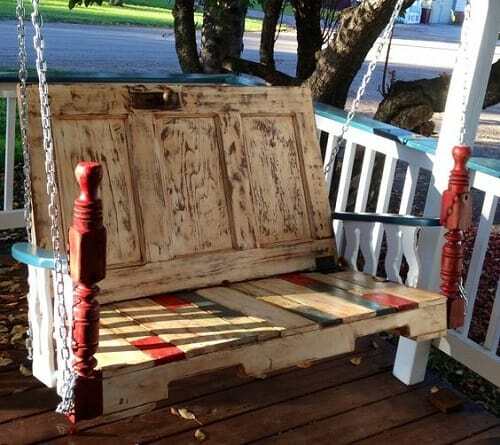 The super creative pallet swing with a used door as its back. The arms and the handles are also made of some used stuff. 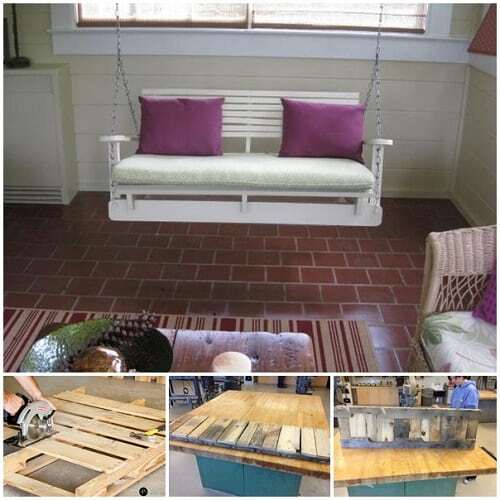 It is such a brilliant wood pallet swing ideas which repurposing some ugly things. The simple pallet in a navy finish which looks so fabulous. 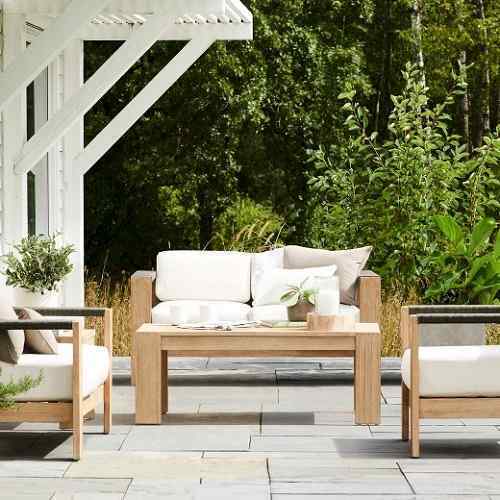 Navy is always a nice color to choose when you are looking for an adorable outdoor furniture finish. It will match perfectly with your modern style patio. 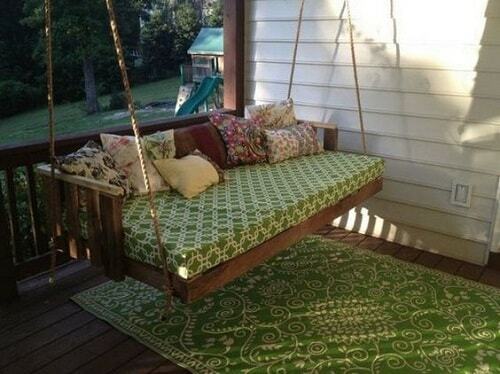 If you are looking for a small swing to decorate your patio this one can be a good inspiration. 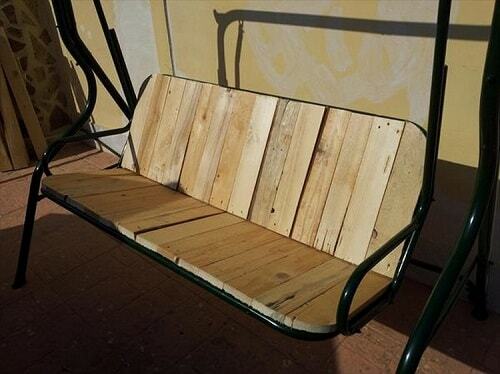 Only need one small pallet and some ropes to make this one. Then, place some accent pillows for the Final Touch. 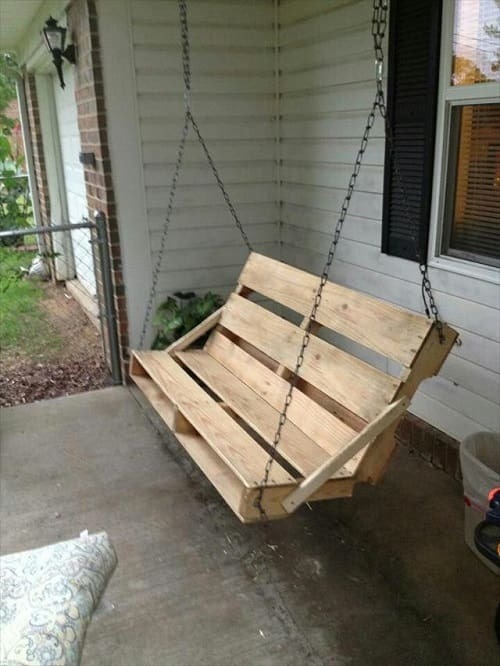 This one is for you who want a sturdy pallet swing. the Steel Construction makes this swing more durable and comfortable to enjoy. It also creates a natural and modern look at the same time. Don’t miss this one if you love to spend reading book in your backyard. 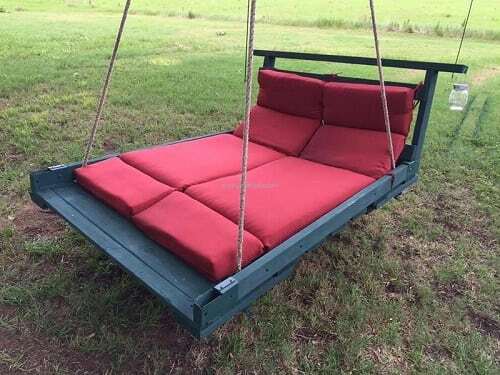 the Super cozy lounger swing made of the pallet which is so great to accompany your relaxing time. The simple stylish pallet bed for your cozy chat time with your friend. It is spacious enough to give you maximum comfort. 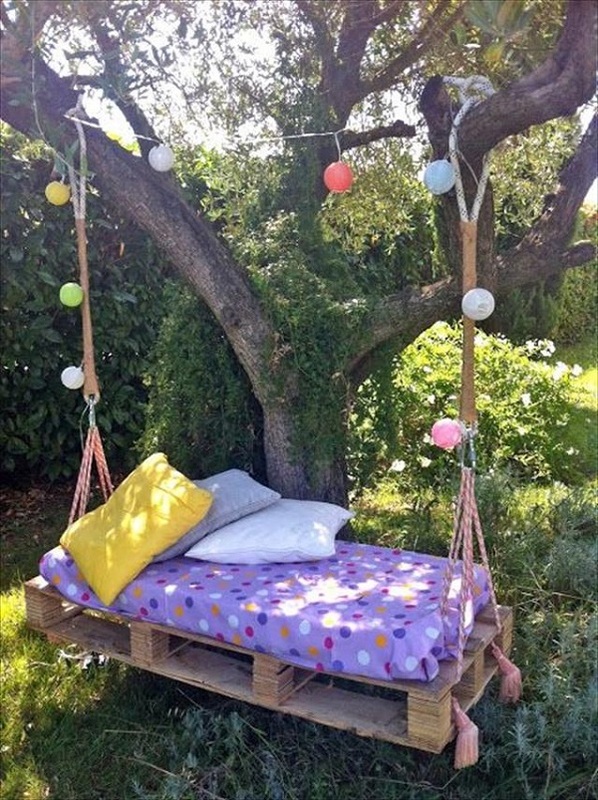 This incredible wood pallet swing ideas is a must-have addition for your backyard. You will need to tear apart some pallet then do some sewing jobs to create this one. The creative pallet swing design which can occupy some kids at once. You can copy this swing idea if you have some children at home! 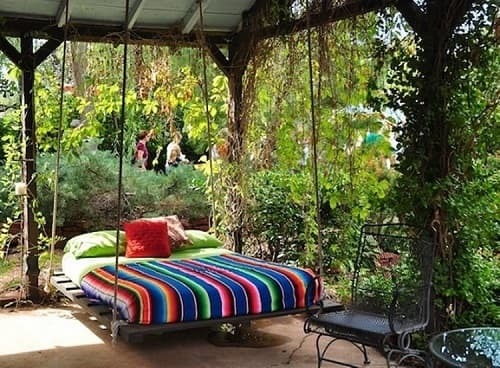 The gorgeous combination of green mattress and brown pallet of this swing is so refreshing to the eyes. 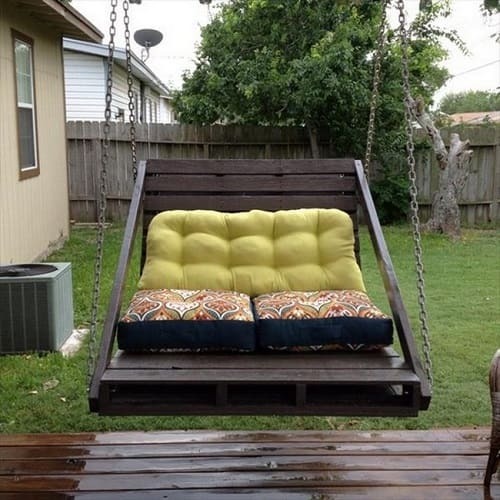 You can adopt this style for your own patio swing project! 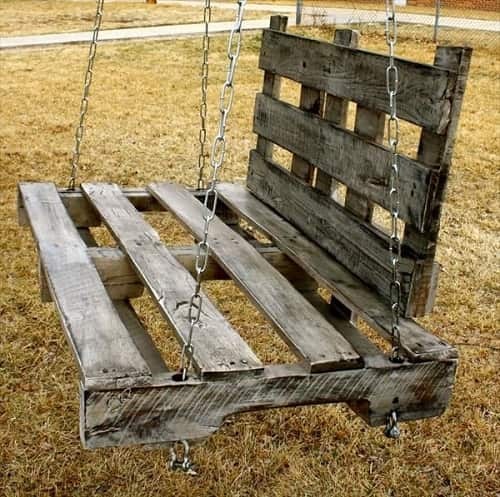 Those are some amazing inspiration of wood pallet swing ideas that you can copy for your outdoor space decoration plan. Sure, most of them are very easy to create on your own by using some used stuff. 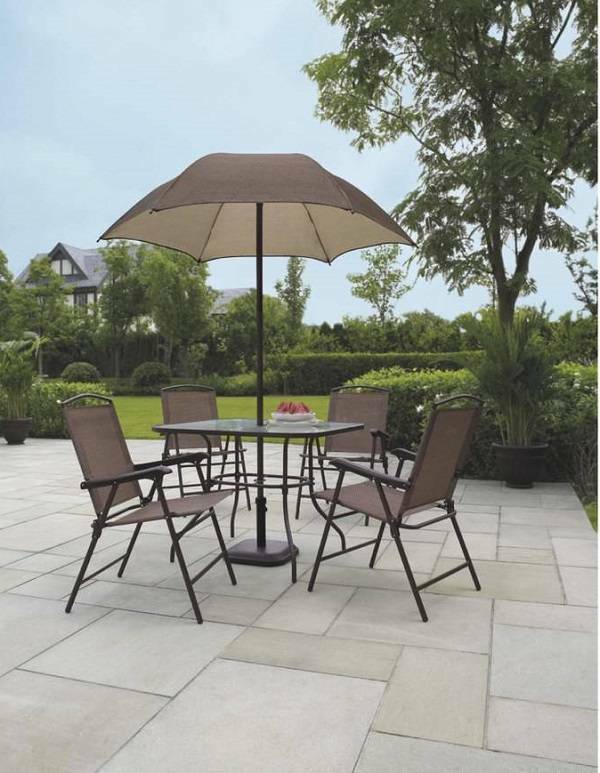 You can pick the one which suits your needs and matches well with your patio design. Playing with the color combination of the pallets and cushion is the easiest way to mix and match the swing with the overall look of your outdoor living space. Get ready to have an ultimate summer relaxing time! I extremely love decorating, crafting, and exploring things which is meant to realize the real meaning of ‘home sweet home’. I love the idea that a home is the only place that we will eventually go to, therefore, I’m always eager to share my thoughts how to make it better and better overtimes.